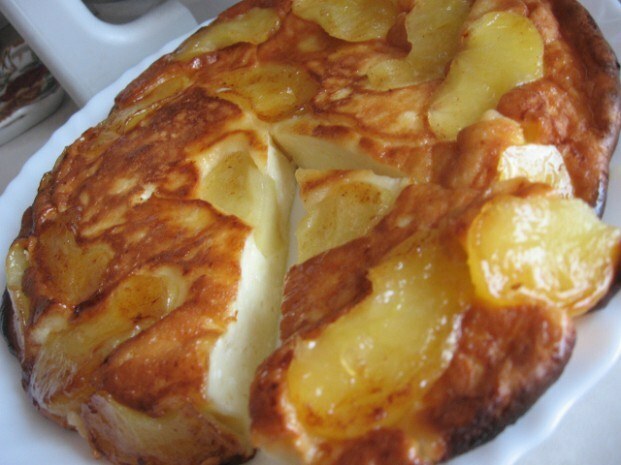 Cottage cheese casserole with apples should appeal to all, so it is delicious. Moreover, useful and not too rich. Perfect as a dessert for tea and as a separate dish. Ground cinnamon - a pinch of salt. Cheese spread in a bowl. Add eggs, sour cream, semolina, sugar, mix everything carefully. If desired, add a little lemon juice, it will give a special aroma of cheese casseroles, raisins or candied fruit. Wash apples , peel, cut in half and remove the stem. Cut into small pieces, sprinkle with cinnamon, stir. Turn on oven at 180oC. Grease the form with butter and sprinkle with semolina. Put on the bottom of the apples on them – the cheese mass. Put in preheated oven. The finished casserole should rise to brown, about 20 minutes. Carefully remove the form with the casserole from the oven, allow to cool slightly and place on a dish. Cottage cheese pie is good both warm or cold. If the cottage cheese for some reason you depremler, can cook a delicious Apple pie with apples.